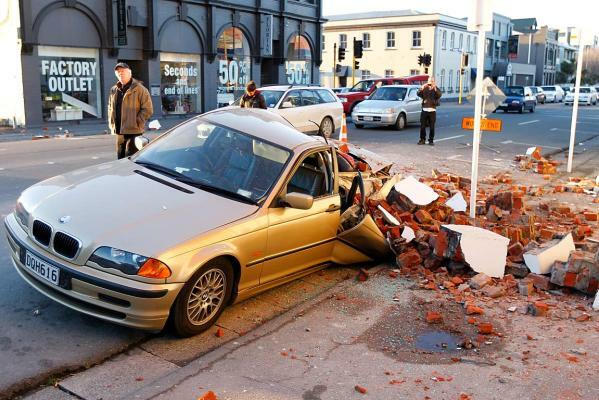 Our family escaped completely unscathed, but much of Christchurch and surrounding areas was not so lucky. Up to 20% of the homes in the city may be rendered uninhabitable. Damage is at least $2 billion in a city of 340,000 people. The University is closed, as will be many schools. Aftershocks are continuing, with one of 6.0 on the Richter Scale expected anytime. We're also expecting gale force winds later today. Sheeeeeesh. 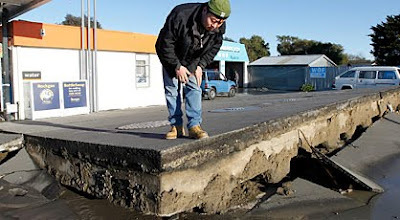 Most of Christchurch looks normal, but some suburbs are flooded and the roads almost impassable. Hundreds of homes have been condemned and many central city businesses are closed. 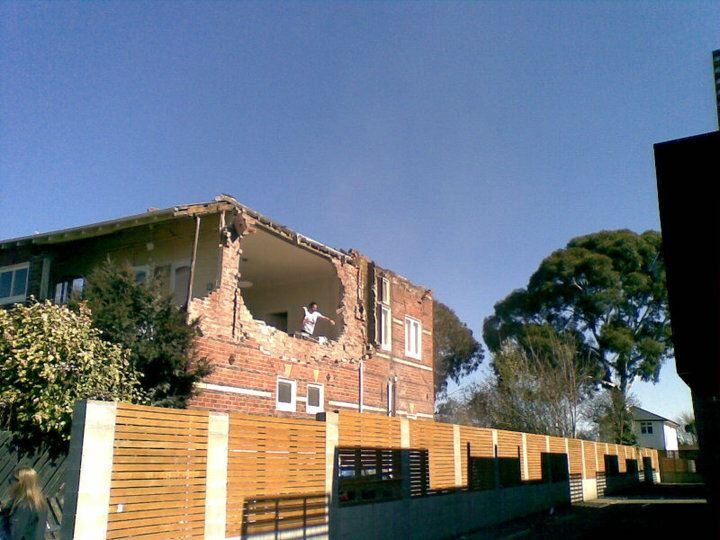 Many personal landmarks were affected by the quake. A swingbridge I used to cross as a kid in Kaiapoi was wrecked, a place I used to work at in Merivale was demolished. I used to visit friends in the flat to the right above. I used to live in this bedroom back in the '80s. The damage is huge, but people love this town and we'll be back up and running pretty quickly. There is a lot of pride in this city. We won't stay down for long. walked across that swing-bridge last night. pretty screwed. You were the first person I thought out when I hard the news. Glad to hear everyone is ok. Hard to believe no one was killed. God bless you and yours. Reminding self of what truly matters, and so grateful for the internet to find out so quickly that despite the destruction, no one was killed. May God bless you all with a swift recovery. Sending prayers your way. Wow, thanks for the pics. Thankful nobody was killed (hope any injuries were minor). And thankful that you and yours are safe, Trevor. Prayers for New Zealand. May God bless and keep all the people of Christchurch. Wow, devastating damage. It's miraculous that there were no deaths. Keep us posted on the progress and if there is anything we can do for NZ. There has been very little news of this in the US. I hope that the reports on this blog about no deaths are true! May God bless everyone affected. Is there a site for relief funds? So glad to see you are safe and thank you for the amazing pix. 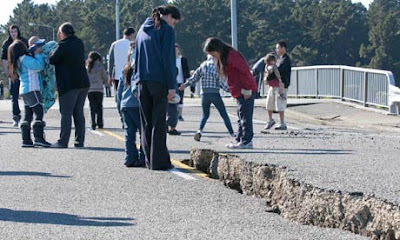 For those who've never experienced an earthquake, it is a horrible feeling. You are walking on gelatin - everything is set on a semi-fluid "thing". There is nothing safe or strong. I went through a bad one in California. The damage looks very bad. I am glad you are safe and can't believe no one was killed. Don't have to tell you that you all are extremely fortunate. Thank God you are all safe. My wife and I visited your country in 1987 an fell in love with it's people and beauty. Our prayers are with you all. 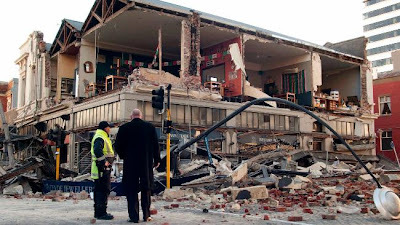 Trevor, can you recommend NZ relief agencies we can support during this recovery and rebuilding? We are relieved you are well and that none were killed in this huge quake. God bless you. Keep safe! Wow! It truly is a miracle no one was killed. That is a lot of damage. To repeat many questions, is there a place to send money? God bless all concerned, supply their needs and grow the love of those who may help. My prayers are with the people of Christchurch. Having lived in California for many years and experiencing our own difficult earthquake in 1994, I know how unsettling those endless aftershocks can be (and your Richter was much worse!). People who have never experienced a bad earthquake tend to think the worst is over after the initial shock but the aftershocks work on you mentally and physically and it is really, really tough. Hang in there! I know your beautiful city will recover and be better than ever and I thank God for no loss of life. Prayers, indeed, of blessings, healing, and thanksgiving that no one was killed. Hope the aftershocks end soon. Again, let us know if there is any group to send out some donations. Glad no lives were lost. 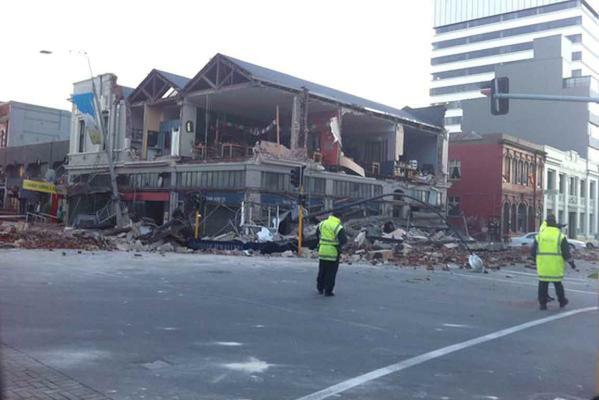 I was in Christchurch last November(stayed in Southern Comfort Inn) and was very impressed by the people's hospitality. 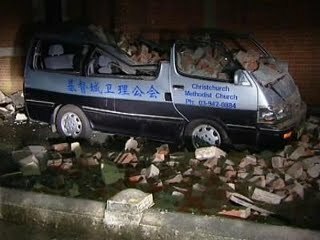 I could see that the Methodist church was damaged in one of the pictures. 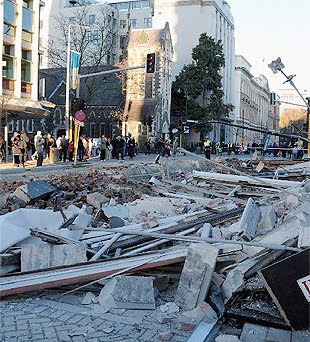 Any news about the Christchurch Cathedral ? I'm so glad that you and yours are safe. Thanks for posting the pics, and just know that you are being sent lots of thoughts and prayers from your blog friends, including those of us in the US. despite all the happytalk-alot of 'em ain't all that happy with it! 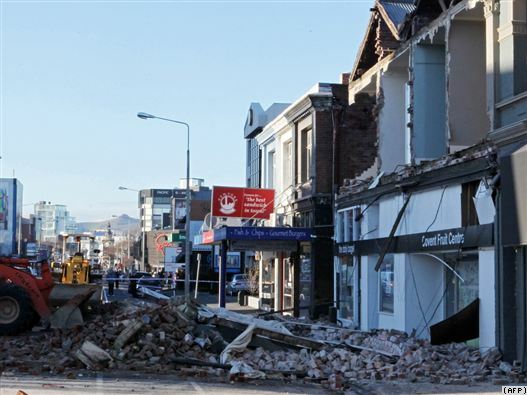 I'd love to hear what you think about the EQC. Our thoughts and prayers are with you from Atlanta GA. We'll be making a contribution to the red cross.